Denver's 43 story skyscraper 1999 Broadway designed by Fentress Architects recently won the 25-year Award from the American Institute of Architects Western Mountain Region. To be considered for the award a building had to have been built at least 25 years ago, currently in use and located in the Western Mountain Region. The purpose of the award is to recognize buildings that have influenced design and lifestyle in the Western Mountain Region. 1999 Broadway was completed in 1985 at the tail end of Denver's 1980s energy boom. 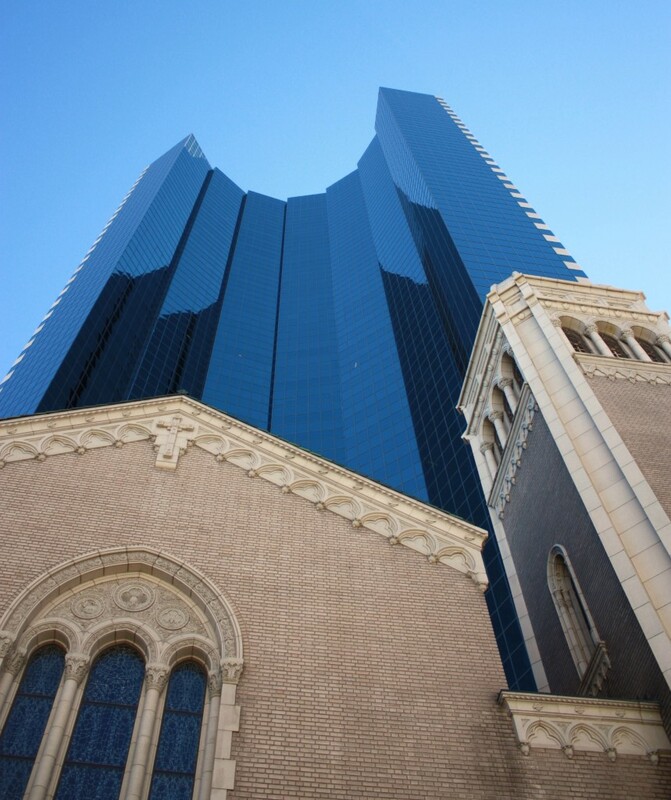 A unique aspect of the building can be experienced and viewed at the pedestrian level where the Holy Ghost Church can be seen adjacent to the skyscraper creating a one of a kind composition.